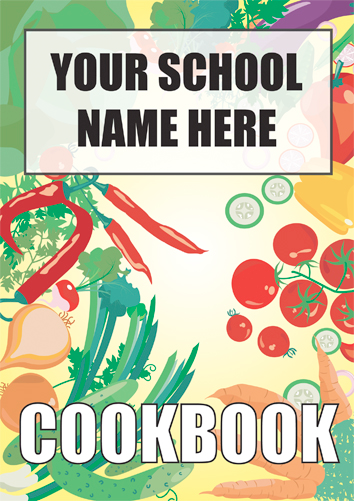 Your school fundraising cookbook will require a cookbook cover, you have a choice, you can supply your own design or if you prefer you can use one of our cookbook designs. 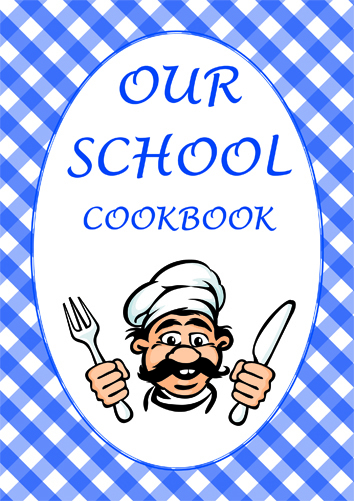 One way to create a school fundraising cookbook cover is to hold a competition. The winner could have their design reproduced on the front cover. You could have two winners, one for the front cover and one for the back cover of your cookbooks. We print all of our cookbooks and then finish them by wire binding. You can also finish booklets by stitching or by perfect binding; however we use wire binding for all of our cookbooks. Wire bound cookbooks lay flat on a table; when you are cooking and following a recipe, our book will lay flat open on the recipe page allowing you to follow the recipe without having to fumble around, refinding the recipe and it prevents you from handling your cookbook when your hands are all covered in flour. Creating a fundraising cookbook is a fun and creative project, its simple to organise and can potentially raise considerable funds for your good cause. The first step in creating your fundraising cookbook is to source suitable recipes to be included within your books. One way is to ask your community members to help you to create your cookbook by supplying you with recipes to be included. You want to set a deadline for the submission of their recipes. You will have to set a deadline as you will need time to have all your recipes typed up in a suitable desktop publishing program. You can layout your cookbooks exactly as you require and you can jazz up your recipe book by using images to illustrate your recipes. You could ask people to supply an image for you to use when they supply their recipes. You just need to consider copyright when using images. Once all your recipes are typed up you want to proof read your cookbook, you are looking for typing errors so check all spellings. There is nothing worse than having your cookbooks printed only to notice at a later date that there are spelling errors that were not noticed before printing. You have checked and checked your cookbook for spelling errors, you are now ready to send your file to us for printing. The most convenient way to send your file to us is to convert your fundraising cookbook into a pdf file and email your file to us for printing. Email your file to us for printing, you can also save your pdf file to a memory stick and then post it to us. Once we have your file, we can then make sure your file is good to print and we will email a pdf proof for you to approve. Your cookbook wants to be full of great recipes, you can also include images in your fundraising cookbooks. You can fill your fundraising recipe books with images of the recipes; ask your members to submit images alongwith their recipes. 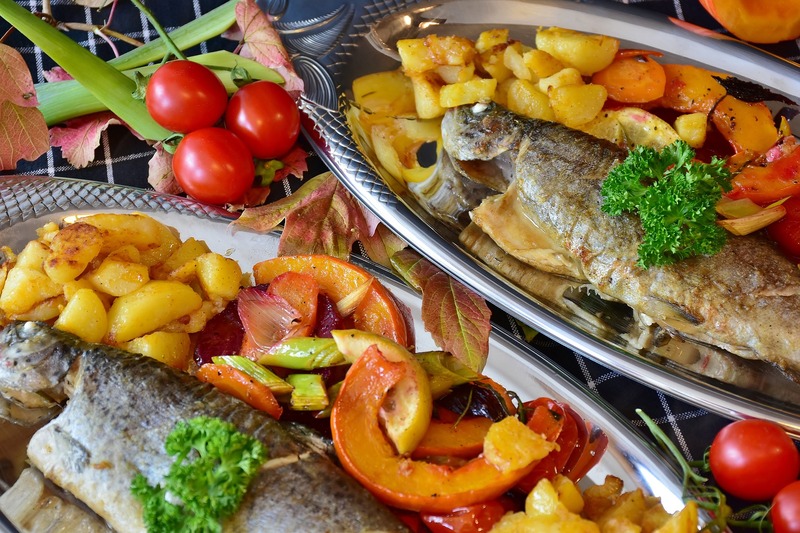 If you are unable to find suitable images, if you like cooking and have a suitable camera; you can cook the recipes and take your own photographs of the food. However if you haven’t any suitable images you can search for suitable images online. When using images in your cookbook you always must have permission or the right to publish an image. If you don’t have permision, you may have copyright issues. You can source suitable images from photographic libraries, you can search for them on google. You can pay for the right to use images, you can also find photographic libraries where they offer public domain images. Before using any image just check the licence before using the image, you may be required to put an Attribution, but this is not always required. This may not be required but best to check. Below is a list of websites where you may find suitable images.